Reading is the bedrock of a learner’s success. Apart from its proven ability to enhance language skills, it increases knowledge and self esteem and boosts memory. But reading doesn’t just happen, it has to be nurtured. It is with this in mind that we launched a ‘Reading Programme’ for students of grade 5, last year and also introduced it in grade 4 this year. 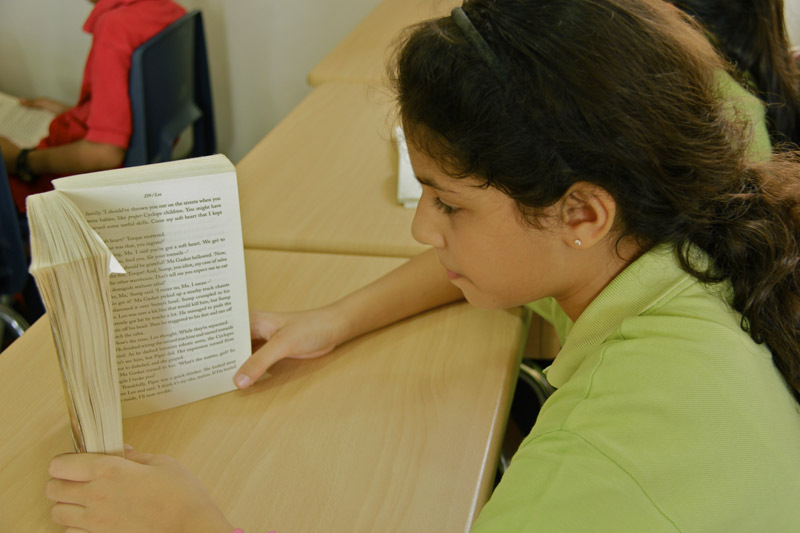 The objective is to ensure that each and every reads child four books which are identified by the English teachers. Each student receives a copy of the designated book with the number of pages to be read, specified for each week (students of course can read the book at one sitting, if they so wish) such that one book can be read within six weeks. There is a fortnightly discussion, focused on vocabulary, plot, characterization etc., based on the reading ground covered. Closure is provided in the form of a series of fun activities.